In this multi-part article, we are going to investigate why you are marketing on Facebook in the first place, why you should think about marketing elsewhere, and later on, some strategies to effectively diversify your marketing efforts on other social media channels. Firearms companies haven’t been able to advertise via Facebook’s built-in ad platform since mid-2015. Ads are often rejected but official policy says that posts about legal gun sales (by businesses only) are OK. So ad-based marketing is toast, but you can still get organic traction, right? Well, it’s a bit more complicated than that. The firearms “stigma” trickles over into other places. One of our friends who manufactures rescue tools (Kurt Delia over at www.deliatactical.com) recently had his ad for their RAPTOR Rescue tool rejected, and rejected again on appeal, as the tool sits on a site that houses his other offerings (who can sell “One SKU Vasily, one SKU only”?) and some of them are knives. I also have NO doubt that the “tactical” in his site’s domain name is what the ad bot caught first. So as a firearms company owner, or someone in the “tactical” vertical, that might sell everything from knives to guns to camping gear, what do you do? In Part One of this investigation, we will explore if Facebook is even a practical marketing medium for the firearms small business anymore, and get some insight into why we keep bashing our heads against the wall trying to reconcile our marketing with Facebook’s rules. There are two main groups of strategies surrounding your marketing efforts and how they relate to Facebook. One is more complicated and costly, but in our experience, is a higher ROI alternative. This requires you turning your back on Facebook almost entirely and only keeping a heartbeat presence there. This also means grabbing the bull by the horns to split your marketing across several mediums, and push products to the medium that is best suited to each item. The other is to play Facebook’s game (and you will see below why we rail against that) and get in the engagement trenches risking the chance that you might lose it all one day on Zuckerberg’s whim. Let’s get something clear right away. Facebook should NOT be the only place you are burning time and money on social media marketing efforts regardless of your situation. Twitter, Instagram, Pinterest, and Tumblr are also big players worthy of your attention. In many cases, they are better than Facebook and have less hassle and more ROI for your marketing dollar than Facebook. In future articles, we will be offering a breakdown in chart form of just who does what and for how much. But for now, we are going to look at your needs and get those sorted out first. Let’s start by asking a couple of key questions. QUESTION ONE: Are you hung up on Facebook advertising because its convenient to you? Are you just being lazy? Most folks are just more comfortable on Facebook as they are usually on it every day socially anyway. That’s not a great reason to ignore other media. Yes, it’s going to take some time to master them. But if it’s key to the success of your marketing efforts, you either get an employee to do it (if you have one), master it, or outsource it to someone like us. Yes, that’s a shameless plug, but why waste your time sewing seeds in poison soil? 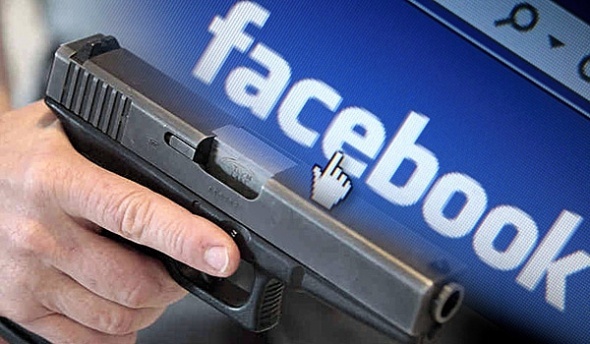 How long until Facebook gets rid of gun pages altogether? Is spending those dollars on someone that actually knows what they are doing such a bad idea? The bottom line here is to do an honest assessment of why you actually want to market on Facebook. Make sure the reasons are business driven and not just you trying to stay in your comfort zone. QUESTION TWO: Is your audience on Facebook worth the effort? This isn’t a judgment on your customers. It’s a remark on your ability to actually reach them because isn’t that what Facebook was supposed to be about? You can’t get ads approved, and even though you might have a huge following and tons of likes on your page, the recent changes on Facebook have made it even harder for organic posts to get any traction at all. We have been keeping a sharp eye on Facebooks changes to their ad platform and social algorithms, as have Business Grow and Garrison Everest (two larger firms that do what we do here in Canada). The image below underlines what we are all seeing with Facebook organic posts by business pages. Of course, content is king, and great content is a necessary tool in the toolbox in this day and age. But the bar for engagement is set much lower (or more reasonably depending on how you look at it) on other social media channels, and in most cases, it is easier to generate engagement with fewer resources. So again, we have to look at all the effort that you are going to be required to put in just to engage your audience, let alone send a cohesive marketing message. As an already marginalized Facebook marketer, you have to ask yourself, is it really worth it? We direct most of our clients off Facebook after answering these questions. We guide our clients towards a more diversified social media marketing portfolio combined with more traditional marketing avenues, tried and tested approaches like inbound marketing that are easier to control and those that lie outside Facebook’s firearms policies. In Part Two, we are going to look at ways that small business can implement this on a small scale, the importance of creating engaging media that will work across all channels, and when it might be time to outsource it to a firm like ours.